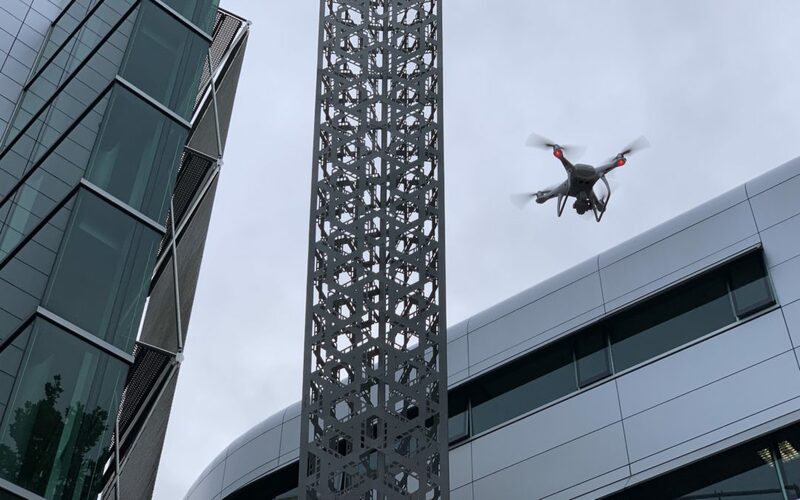 In mid-February 2019 ObjektCare became one of the first sculpture care specialist firms globally to begin utilising drone technology to survey and sculptures. The sculpture in question was Chevron, a 15m tall work by Neil Dawson and located at University of Auckland on Symonds Street. ObjektCare co-founder Paul Spain indicates that he expects drones just to be part of the ongoing use of new technology the firm will use in 2019 “We love using technology to provide better and faster outcomes for our clients. We’re also working on leveraging other fresh technology during the year ahead so as to continue to provide the best sculpture repair, sculpture restoration and sculpture maintenance services in the Southern Hemisphere market”. 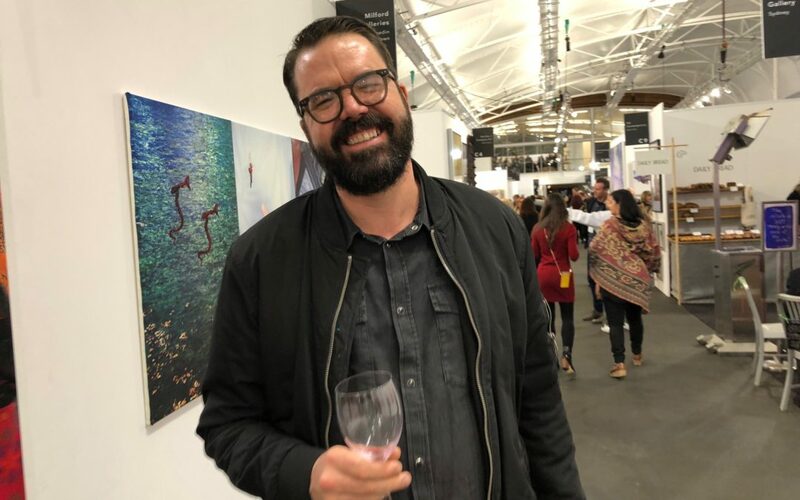 Auckland Art Fair 2018 Review: Space to Stand. 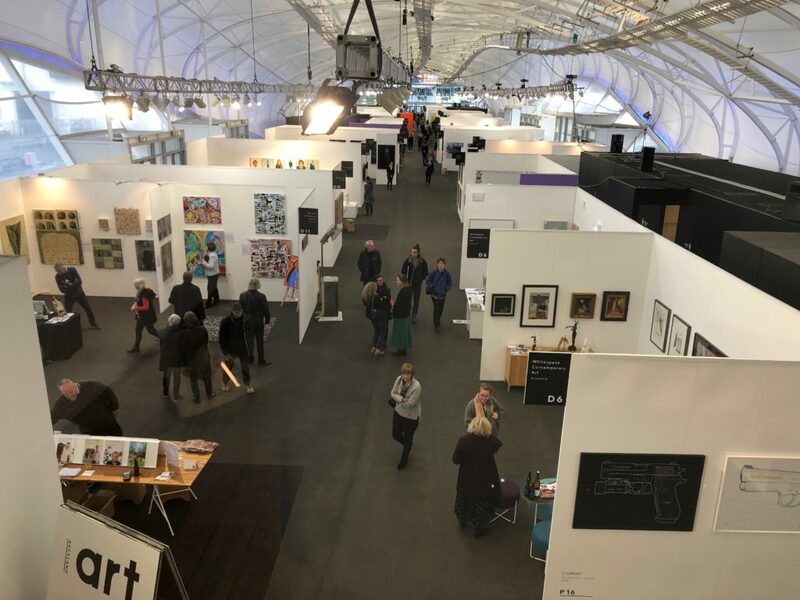 Many of you will know the Ad Reinhardt quote, “Sculpture is something you bump into when you back up to look at a painting,” well it would have been nice to bump into a few more at this year’s Auckland Art Fair. It could be the simple fact that while everyone’s got a wall, not everyone’s got the space for art that you have to walk around. This year I missed the confronting large works of art fairs past, sitting strongly in my mind is Rohan Weallan’s Wizard of Forgotten Flesh, which dominated space several art fairs ago. Still it was nice to see a range of art and objects, standing out from the walls here and there. Probably most Striking and confronting of any sculpture were the two works by Patricia Piccinini’s at The Vivian’s stand. Two suitably flabby and hairy pieces drew huddled clusters of people at the Vivian stand. Both grotesque and yet somewhat comforting as anthropomorphic latex bodies. Tim Melville had a nice selection of Joe Sheehan’s ‘house upon the rock’ Nirvana works, both equally nostalgic and beautifully rugged. Over at FHE Gallery were some beautiful greywacke implements carved by Renee Pearson. There’s something about stone and the carving about that pulls us back into our ancestral past and finds at home with these cold objects. Paul Nache took a risk with empty walls and a floor full of precariously placed Virginia Leonard ceramics. Leonard’s work are captivating in their visceral nature, the evocative energy of the forms matched by the vomitous use of colour on these large ungainly ceramic urns. Terry Stringer, a veteran of art fairs, had a range of new works across two gallery spaces. While his familiar form of hands of faces are still there they seem to be seeking new representation in his larger sculptural works. Another notable New Zealand man of bronze, Paul Dibble, was represented with a splendid work hui and kowhai work complete with 18 carat gilding at PageBlackie’s stand. It was nice to see, alongside, the Dibble work, a Drummond work. Andrew Drummond’s work is not commonly seen in Auckland, and it was nice to see one of his signature Coal Wheel’s at the fair. Hannah Valentines contributions to the commissioned projects was a relief in the midst of the Fair’s ‘untouchable’ art. Valentine’s A thought for Disruption presented an invitation to touch, hold and carry her work, which reminded of tools or exercise equipment. It was lovely to see the hand formed image of the original wax carried through into the final bronze version of the work. An honourable mention must also go to Sydney’s Inunison Gallery for their inspirational collection of mostly Mexican in origin pop-art and op-art. The lightness and humour that work by artists Mevna, and Davis Birks brought was inspired. Of course the painting, photography and video work at the Auckland Art Fair was great too!